My son Subhajit Talukdar suffered from severe liver disorder since birth due to Extra Hepatic Biliary Atresia. He was operated in his childhood to counter the immediate threat to his life but it was a temporary solution. And as expected, his physical condition only worsened over the twenty five years yet he remained resilient to live and continued his academic life giving us hope. But his medical reports only deteriorated whether suffering from jaundice numerous times or heavy gastro bleeding from oesophageal varices and eventually his liver worsened to a condition of Biliary cirrhosis and a transplant was needed. 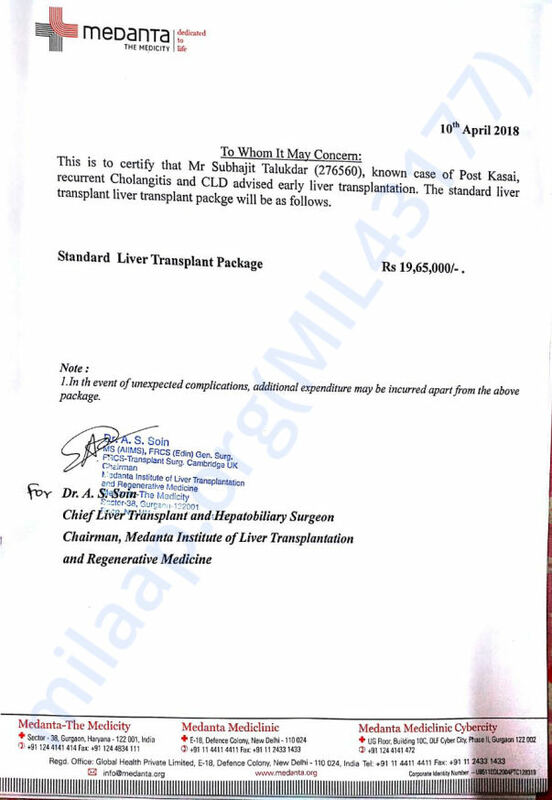 We took some time to arrange the funds as I am a retired government servant and the only earning member of the family and finally he was operated on 7th may,2018 at Medanta Medicity, Gurgaon but my son's condition was so serious that he faced many pre and post transplant complications which inflated the hospital bills by many folds. The transplant package was around twenty lacs but in my son's case it crossed thirty lakhs forcing me to lend money from others. He is recovering now but we still need money to continue his expensive treatment and my economical capacity has come to an end. 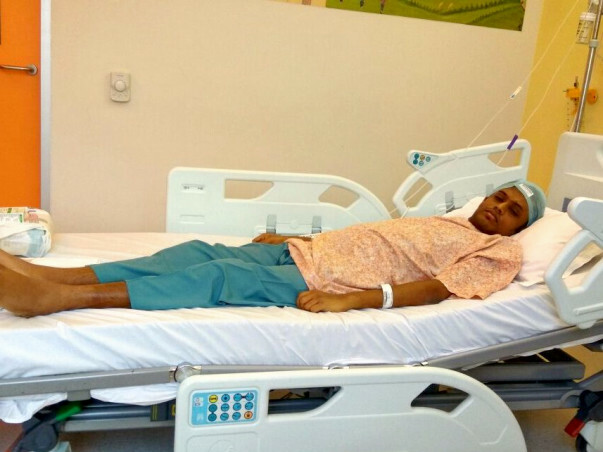 Over the years I have never asked for monetary help for my son's treatment and I have spent all my savings for his treatment but now we desperately need some help so that he finally live an healthy independent life. Your goodness can put an end to my son's suffering and the growing fear of my family.